Besides Sesame Street and the odd Fawlty Towers episode, PBS programming can be a little hit or miss. 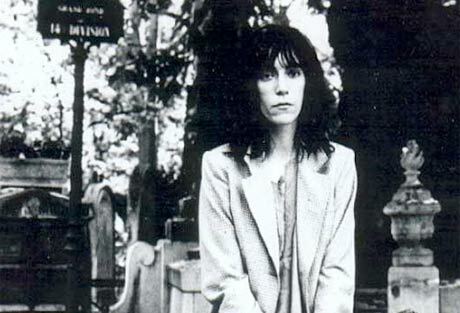 Fortunately, that will change later this month when the public broadcasters air Dream of Life, a documentary on New York music legend Patti Smith. According to the New York Times, the film is an in-depth documentary about the proto-punk queen, and after 11 years in the making, it will finally air on December 30, a date that will mark Smith's 63rd birthday. In an interview with the Times, Smith explained that the documentary was a strange experience for her. "To me the idea seems sort of conceited," she said. "I felt, even though I was 50 years old at the time, too young to do a documentary. I hadn't done enough work yet to merit a documentary." The film has already been screened at 30 festivals worldwide. To coincide with its television debut, Smith will play three nights at New York's Bowery Ballroom from December 29 to 31.